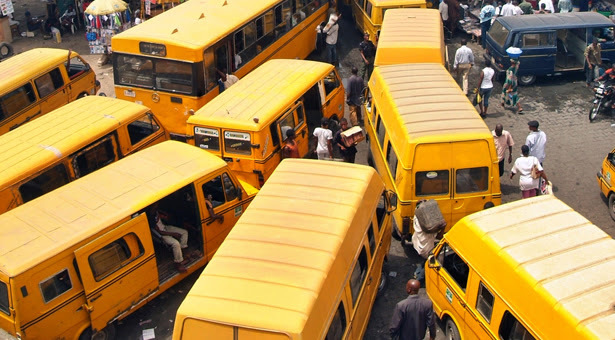 Danfos are the pariah Volkswagen commercial buses painted yellow, the official colours of Lagos State. They are always on the road for nearly 24 hours every day. For Lagosians who are yet to own cars, the danfo is an effective way to move around the ever busy and bustling state. Besides, if you are always on Lagos roads, you would have noticed the shenanigans of these drivers which can be very frustrating and annoying. Thus, their hatred for them. Jumia Travel shares some of the reasons why Lagosians hate danfos. Danfos are self-acclaimed kings of Lagos roads. They are uncontrollably reckless when driving. They will never listen to the caution of anyone except that of LASTMA. If the Lastma officials are not on the highway, it’s a free-for-all. They will even tell you to take over the steering if you attempt to caution them. The Danfo drivers and conductors don’t respect anyone not even the elderly. They address you with so much disrespect that you wish you will never board one again. It is even worse if you don’t have change. To avoid trouble, you should always have your correct change. There is no argument about this-danfos are always dirty. Only a handful of them clean their buses. Whether there is a fuel hike or not, the fares of the danfos are always fluctuating. When they observe quite a number of people at the bus stop, they immediately hike transport fares. With a horrified façade, they either wave the danfos away or board it. If you are in a hurry, you should completely avoid danfos because there is a very high possibility that you will miss that appointment. They will always stop to buy fuel, pick up passengers as well as stop passengers to alight. Although everyone is culpable when it comes to Lagos traffic, the danfo drivers take a large percentage of the blame. They stop in the middle of the road indiscriminately without minding other road users. In fact, danfo drivers only think about themselves and how to make quick money. That’s all. So, you have to be extremely patient!